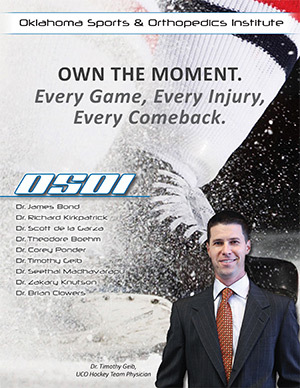 The University of Central Oklahoma hockey team has been on the road since the weekend of October 26th when they sweep the University of Arizona and Arizona State going 3-0 that weekend. The following weekend was games against the University of Arkansas and Missouri State. While beating the Razorbacks on Thursday night, the Bronchos dropped Friday nights game to the Ice Bears before losing in a shootout on Saturday night. 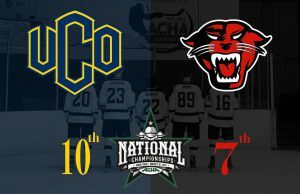 UCO went back on the road to Iowa State the very next weekend to take on the highly ranked Cyclones. 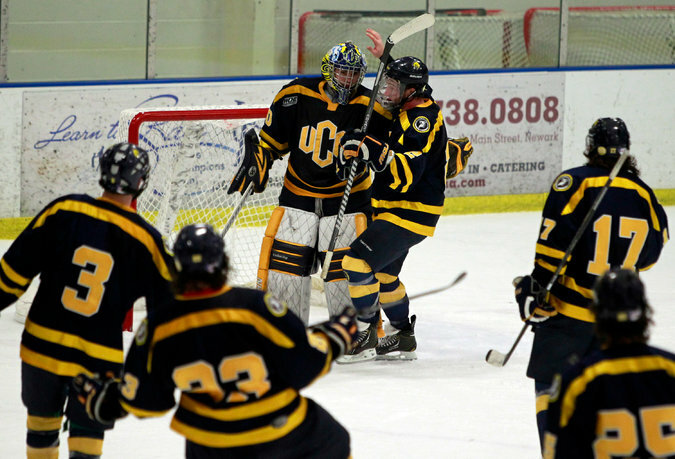 UCO’s Alex Henry got the 2-0 shutout but dropped the Saturday night exciting game 4-3. The Bronchos finished up the long road trips sweeping Colorado State and Colorado University. 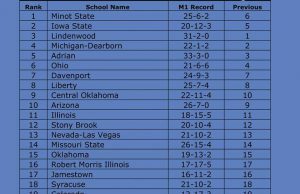 The Buffalo’s came into the weekend games ranked third in the nation. 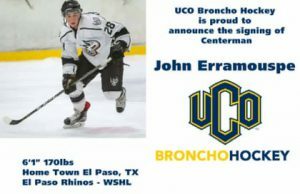 The Bronchos looked ready for the challenge by beating Colorado 4-3 Friday night and gaining the 2-0 shutout victory on Saturday on the Buffalo’s home ice. One more road game against bedlam rival OU before the Bronchos finally come home on Friday, December 1st for the final game of the semester against the Sooners.